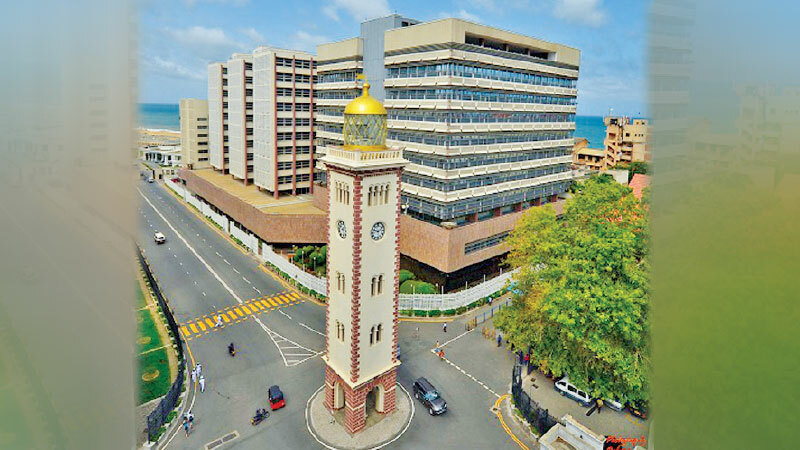 The Central Bank of Sri Lanka (CBSL) is of the view that the decisions by Fitch Ratings on December 3, 2018 and Standard and Poor’s (S&P Global Ratings) on December 4, 2018 to downgrade Sri Lanka’s Long-Term Rating from ‘B+’ (Stable) to ‘B’ (Stable) are based on uncorroborated facts on the country’s macroeconomic fundamentals. In spite of the recent developments in the country’s political sphere, an array of measures have been taken by the CBSL and the Government to minimize any potential impact from the recent political developments on the economy, especially with regard to external financing requirements and debt payment obligations. In meeting the Government’s external liabilities of International Sovereign Bond (ISB) maturities of USD 1 billion in January 2019 and USD 500 million in April 2019, the authorities have already built a buffer fund from proceeds of non-strategic asset divestment and recently contracted Syndicated loan, in addition to the space provided under the Active Liability Management (ALM) initiative not exceeding a limit of Rs. 310 billion. The issuance of Sri Lanka Development Bonds (SLDBs) of around USD 750 million to USD 1 billion during the remainder of the year and in early 2019 sourced through enhanced credit lines for state banks from the Middle East and East Asia is nearing completion. Further, the enhancement of USD 500 million to the syndicated loan arrangement by February 2019 is also in progress. In addition, further support could be expected from the proceeds of about USD 600 million expected as disbursements from bilateral and multilateral agencies during next year. These proceeds together with the available funds would more than cover all the ISB payments due in 2019. Meanwhile, with the aim of further strengthening the reserve adequacy, the CBSL has initiated negotiations with central banks and regional funds such as SAARC Swap Framework to obtain foreign currency SWAP facilities. These measures would not only further strengthen the country’s foreign reserve adequacy, they would also enable timely servicing of external obligations while providing the space for intervening cautiously in the foreign exchange market to prevent excessive volatility. It is noteworthy that there has been a favourable adjustment in the exchange rate during recent days supported by rising foreign currency inflows which would be further enhanced in the upcoming holiday and new year season. In addition, the fiscal and macro prudential measures that are already in place are expected to result in an improvement in the external trade balance as well, thus reducing pressure on external reserves and the exchange rate. Meanwhile, domestic financing conditions have shown considerable improvement through spaces created and debt management strategies introduced recently. This has reduced the roll-over requirement of Treasury bonds and SLDBs in 2019, 2020 and in the medium-term. Notably, the new acquisition of government securities by the banking sector has increased by only 1.5 per cent in 2018 as against the trend increase of around 5 per cent in recent years. It needs to be further reiterated that Sri Lanka’s banking and financial sector remains resilient to both domestic and external vulnerabilities. Even though the operating environment is challenging, the banking sector is subject to a stringent supervisory and regulatory framework. The commitment of the banking sector to adhere to higher levels of capital and liquidity requirements demonstrates its resilience in facing these challenges, thereby creating a stable outlook for the banking sector. Given these parameters, the CBSL is of the view that the recent rating actions by Fitch Ratings and S&P Global Ratings are unwarranted. Such an action only on the premise of heightened political uncertainty, with no evidence of slippages in macroeconomic policies or fundamentals, cannot be justified. The soundness of the underlying macroeconomic conditions was reinforced by the fact that staff-level agreement in principle was reached with the IMF (26 October 2018) on the fifth review of the Extended Fund Facility (EFF).